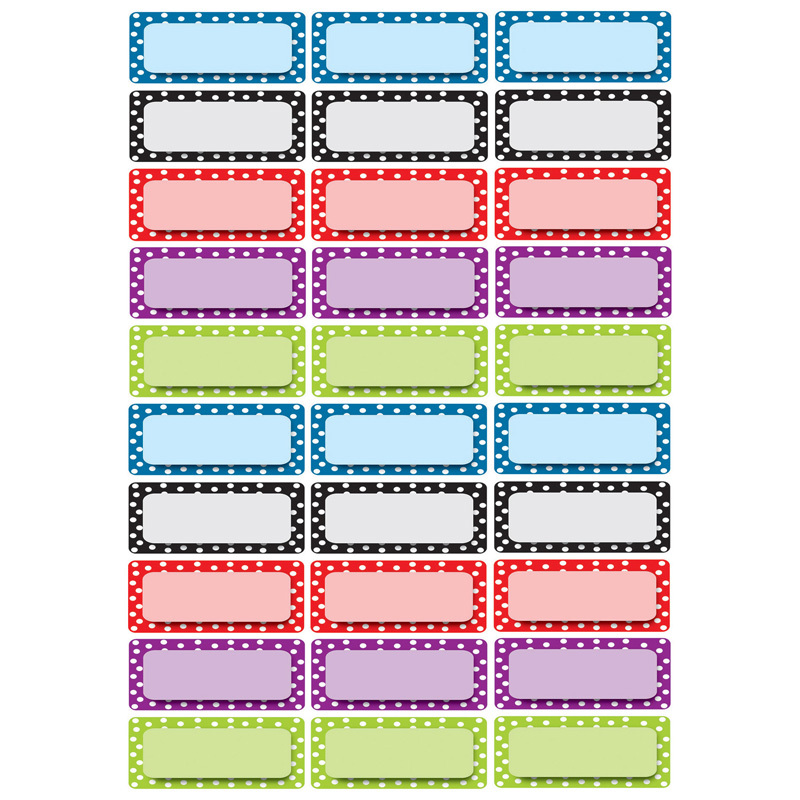 Color Dots Pattern Magnetic Die- Cut Small Labels and Nameplates. It contains 30 total pcs. Color Dots Pattern, Multi-purpose labels have a write-on/wipe-off face and magnetic back. Use on dry erase boards and cabinets. Measures 2-1/2" x 1".